The final week of the Absa Premiership promises to be enthralling. 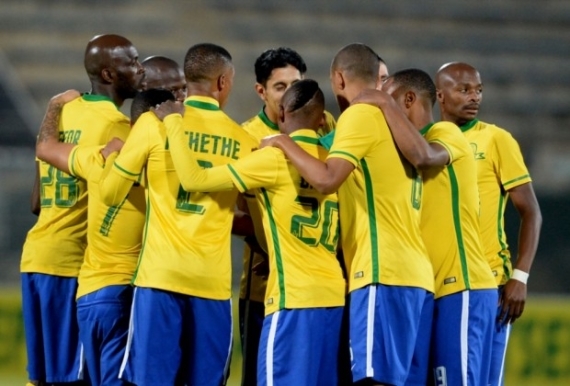 Mamelodi Sundowns have already wrapped up the PSL title, their record seventh championship victory. The Brazilians still have one more milestone beckoning; they are looking to be the first side to notch up 71 points since the introduction of the league in 1996. Pitso Mosimane’s side will look to sign off a spectacular season in style when they host Platinum Stars at the Lucas Moripe Stadium. Meanwhile, Pirates and SuperSport United – also the fixture of this year’s Nedbank Cup final – will lock horns at Orlando Stadium in a must-win game. Matsatsantsa need to beat the Bucs if they hope to play in the MTN8 tournament next season. It’s been a season to forget for Kaizer Chiefs fans as Amakhosi did not even put up a fight to defend their title. They can finish no higher than third place and Steve Komphela’s side will be looking to end the season on a high. Chiefs will welcome Chippa United to the FNB Stadium on Saturday. Jomo Cosmos, Maritzburg United and University of Pretoria are locked in a tight relegation battle. Cosmos (on 25 points) will face Maritzburg United (24 points) in one of the biggest relegation match-ups in recent memory. Bottom-placed University of Pretoria (on 22 points) must beat Golden Arrows in Tshwane to stand any chance of survival. 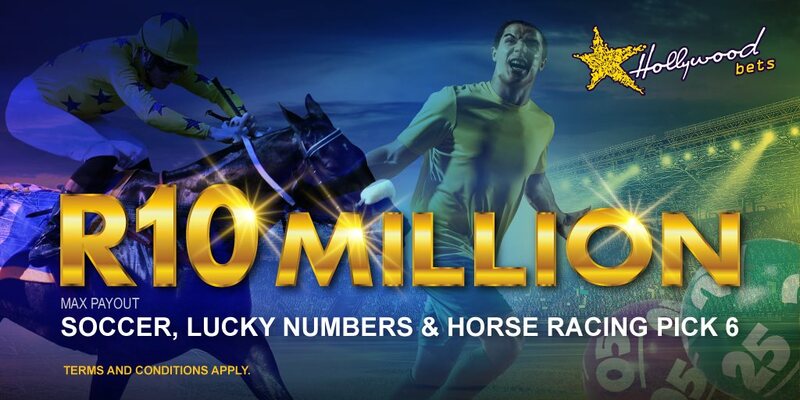 There’s a lot at stake in the final week of the Absa Premiership and I’m feeling confident we can make some money together as we enjoy the last of the action. Ajax Cape Town’s performances this season have paled in comparison to the 2014-15 campaign that saw Roger de Sa’s side reach the Nedbank Cup final and secure a top-five finish in the league. The Urban Warriors are 12th on the table and winless in their last six matches in the Absa Premiership. Ajax have won eight from their 29 games played with just four of those wins coming at the Cape Town Stadium. They are tied with bottom-of-the-log University of Pretoria with the third worst defence in the league, shipping 41 goals this season. In three seasons as Bidvest Wits head coach, Gavin Hunt has finished third, third and second. With one game left before the completion of the 30-match league marathon, 11 points separate them from champions Sundowns. The Students know they have to step up next season if they are to claim their first ever PSL title. Wits have won 17 matches in the league, netting 44 times while conceding (23) the second least amount of goals. The away win is tipped confidently at 11/10. Mpumalanga Black Aces have improved from last season’s 10th place finish and could end the campaign as high as fourth if they beat Free State Stars and Chiefs fail to beat Chippa United. It would be a great achievement for Amazayoni, but regardless of the outcome, Muhsin Ertugral has done a fine job this season. Although Aces overachieved this season, the fact that they only won once from their last 13 league matches is not acceptable. Take into account that Amazayoni haven’t finished higher than seventh place and it can definitely count as progress. Ertugral’s side have won six of their 14 games at the Mbombela Stadium, losing just twice. 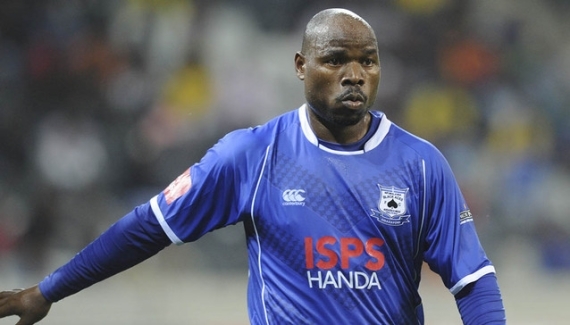 Collins Mbesuma has been the star performer for Amazayoni, currently topping the scoring chart with 14 goals. Free State Stars are winless in seven matches in the Absa Premiership and have won just twice on the road in 2016. Ea Lla Koto were sent crashing out of the Nedbank Cup semi-final with a 4-2 defeat to Pirates last weekend. With their confidence low and their dreadful away form, back Black Aces to win. Bloemfontein Celtic are on the longest unbeaten streak in the Absa Premiership, seven games. They won just three times in that run, but against tough opposition in difficult circumstances. Serame Letsoaka’s side thrashed Ajax Cape Town 5-0 at home and defied odds by beating Platinum Stars 3-2 and champions Sundowns 3-1 away from home. Phunya Sele Sele will be confident of taking maximum points from draw specialists Polokwane City. Rise and Shine come into the match off four consecutive stalemates. They’ve won just once from their last 12 games, drawing six times with five defeats. The only reason they’re safe from relegation is because they have a lethal finisher in Thobani Mncwango. He’s scored 13 goals in the league this season – a goal behind top scorer Collins Mbesuma – and Celtic will face a battle to persuade him to stay. I’m going for Bloem Celtic to win here. This is arguably the biggest fixture of the weekend. The table never lies and both these sides deserve to be in the position they find themselves in. Jomo Cosmos have their fate in their own hands, along with home ground advantage. A point will be enough for Jomo Sono’s side to avoid the drop, provided they’re not docked points for fielding an ineligible player – which Sono is confident will not happen. Cosmos have won six games this season, losing 16 times and conceding 38 goals. Ezenkosi are unbeaten in their last two games at Olen Park Stadium, their last result was a 1-0 victory over University of Pretoria. Maritzburg United have won just five games this season and have the worst defence in the league, shipping 52 goals. It’s no surprise that the Team of Choice have occupied the bottom of the table for most of the season. Ernst Middendorp’s side have improved in recent weeks with just one defeat from their last five games. However, they’ve won just three games on the road this season. A tight affair is expected but I’m backing Cosmos to oust their opponents. 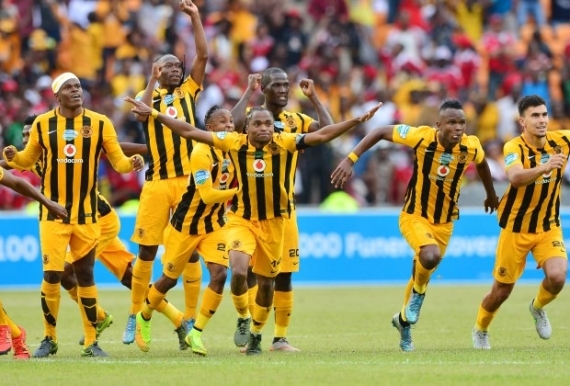 Kaizer Chiefs have endured a disastrous season in the Absa Premiership - having also failed to win a single trophy despite reaching the MTN8 and Telkom Knockout Cup finals. Steve Komphela’s side find themselves fourth on the table, 22 points adrift of champions Sundowns. Amakhosi have won just 11 games this season which is not good enough by their standards. A massive clearout is expected and this will be the last chance for players to prove their worth. Reneilwe Letsholonyane will make his last ever appearance for Amakhosi on Saturday and Chiefs will look to cap off the season in style. Chippa United have improved heavily from last season’s 14th position. The Chilli Boys are sixth on the table with just four points behind their opponents. Dan Masalesa's side are unbeaten in four matches, but winless in their last five travels. 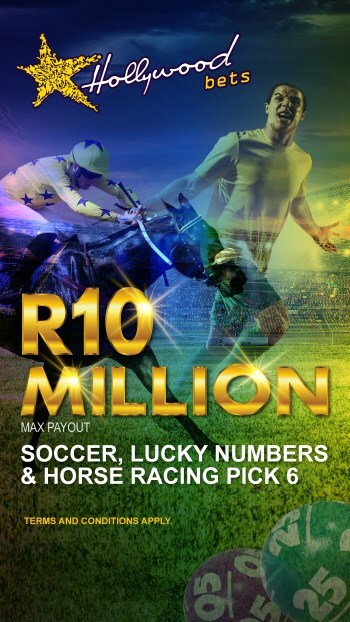 Back the home win at 8/10. With one game to go this season, newly-crowned Mamelodi Sundowns can make history with a win over Platinum Stars on Saturday. Should Sundowns beat Dikwena, they will become the first team, since the league was scaled down to 16 teams, to make it beyond the 70-point mark, with Mosimane’s team currently sitting on 68 points. The Brazilians have been superb this season, boasting the best attack (scoring 54 goals) and defence (conceding 20 goals) in the Absa Premiership. Platinum Stars are well-motivated for the final game of the season as they look to secure a place in the 2017 CAF Confederation Cup. Dikwena currently sit third in the PSL standings, two points ahead of Kaizer Chiefs. Cavin Johnson’s side, who have struggled to find their rhythm in recent weeks, will need to be at their best to beat the champions. Stars have picked up just one win from their last six league matches, suffering three defeats. Sundowns are tipped to win the match. Orlando Pirates are currently at risk of missing out on a top eight finish for the first time in the modern PSL era. Eric Tinkler's side are winless in their last four matches and need at least a point to preserve their record of being the only club to finish in the top eight of the PSL every season. Pirates will be happy to be playing at Orlando Stadium, where they remain unbeaten in five matches. In those games, they’ve won three times, scoring seven goals without conceding. The Bucs booked a place in the final of the 2016 Nedbank Cup after defeating Free State Stars 4-2 last weekend. Tinkler's side will square off with SuperSport United in the final at the Peter Mokaba Stadium on 28 May, but they’ll need to beat Stuart Baxter’s side here first. This is a must-win game for Matsatsantsa if they are to finish in the top eight. Baxter’s side have won their last five away games, scoring 12 goals while keeping three clean sheets. It should be very tight and I’m going for a draw here. Relegation-threatened University of Pretoria are bottom of the table on 22 points following an underwhelming season. Shaun Bartlett will go into the final day of the season desperate to help his team pull off the great escape, having failed to achieve that feat three years ago with Golden Arrows. AmaTuks have won just five from 29 matches, suffering 17 defeats and shipping 41 goals. Bartlett’s side have to beat Golden Arrows, no matter what the result is between Jomo Cosmos and Maritzburg United, to stand the slightest chance of survival – the play-off position. AmaTuks have won three of their five meetings with Arrows, which will give them a bit of hope. Clinton Larsen’s side find themselves perfectly placed for a top-eight surge. If they were able to show the consistency that marked them as a dangerous team at the start of the season, they would not have found themselves in the lower mid-table rat race. However, for a team that jumped straight back into the PSL after being relegated in the 2013-14 season, eighth place with 40 points from 29 matches is still cosy. University of Pretoria haven’t put up a fight all season and I doubt they will here. Arrows have to win and I think they will do it comfortably.